On Tuesday, I began this series with a post about getting an idea and developing it into a story. Now, let's move on to step two! So. You have a developed idea, maybe an outline or rough plot set up, and maybe a few scenes or chapters written that will come later in the book. Now it's time to start really writing your first draft, beginning, of course, with the beginning. 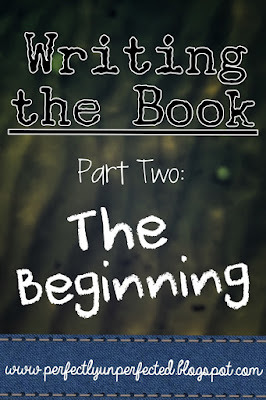 The beginning of a book is the first chunk of the story where the main characters, the story world, and the conflict are introduced. This is generally the first three to four chapters, which are crucial parts of the story. If you've ever researched literary agents or had them request to see more of your work, usually they'll ask to see the first three or four chapters, or the first 50 pages. That's because the beginning chunk of a book is so important! 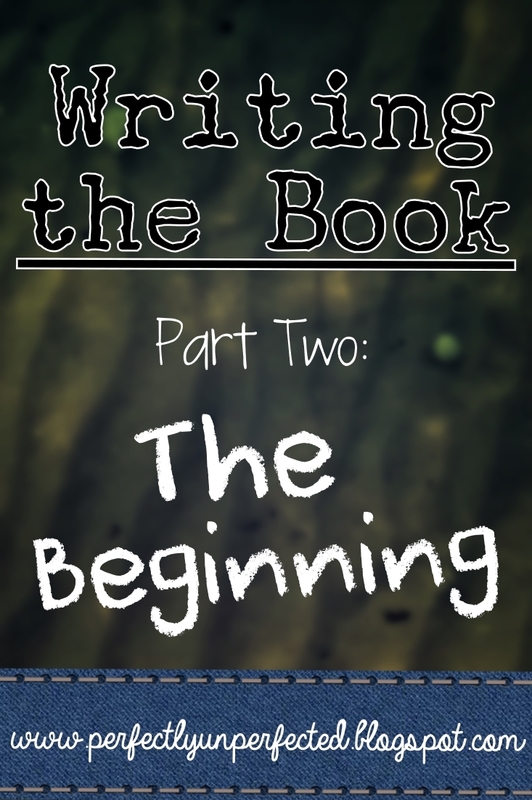 So, let's take a look at some of the key elements of a book's beginning. And there you have it! I don't know about you, but "beginning" doesn't look like a real word to me anymore. Check back next Tuesday for the third part of the series where I'll talk about the long and bumpy path known as the story's middle. As a new writer, I struggled with the beginning. Rather than writing and rewriting, I worked on the subsequent scenes as I saw them in my outline. I am 30% finished and still have no opening line and chapter. A this point do I know what I want the reader to know, not generalities but specifics. Articles like this stress the importance of a beginning hook and character development, letting the reader know the genre, locale, and time frame. My first chapter is slowly coming together and will most likely benefit by more work. Thank you so very much for this entire blog, I'm only 14 and working on what I hope to become a novel that I can someday publish, and all of this is helping me work through the first few chapters.